Oil drill poles are outfitted with an precise thread to couple the pipes together. This thread has to be machined on a lathe. 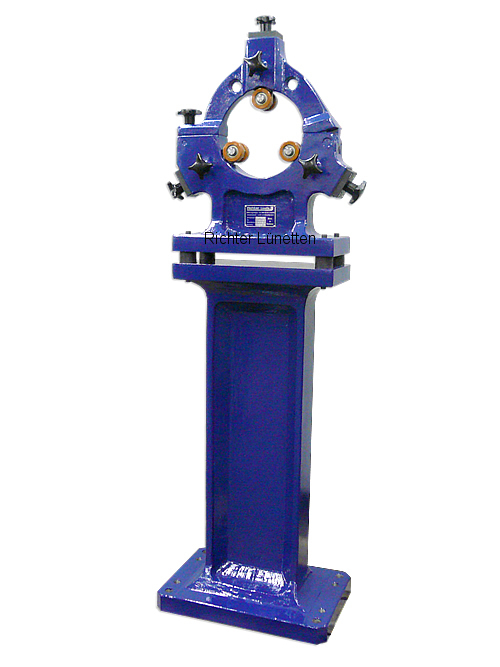 To support the long poles outside of the machine we developed a steady rest with soft rollers and a stand.